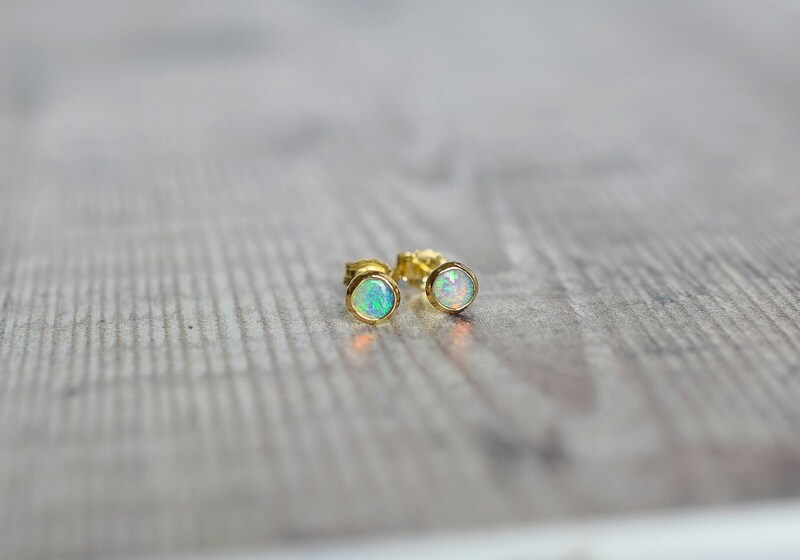 Genuine Australian Opal stud earrings set in 18k gold. 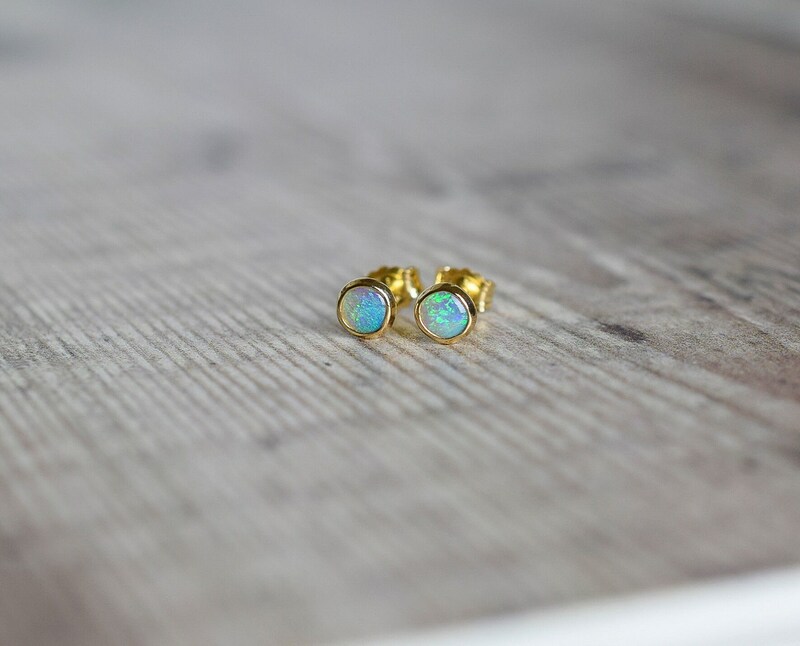 The Opals are 100% natural, earth-mined gemstones (neither synthetic nor lab grown) and originate from Australia. 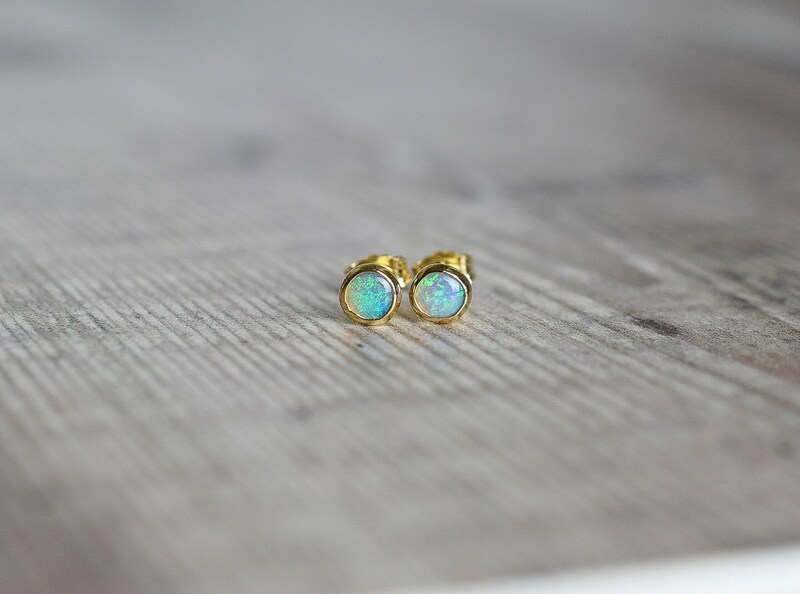 They are a beautiful shade of blue/green and have wonderful fire and flashes. 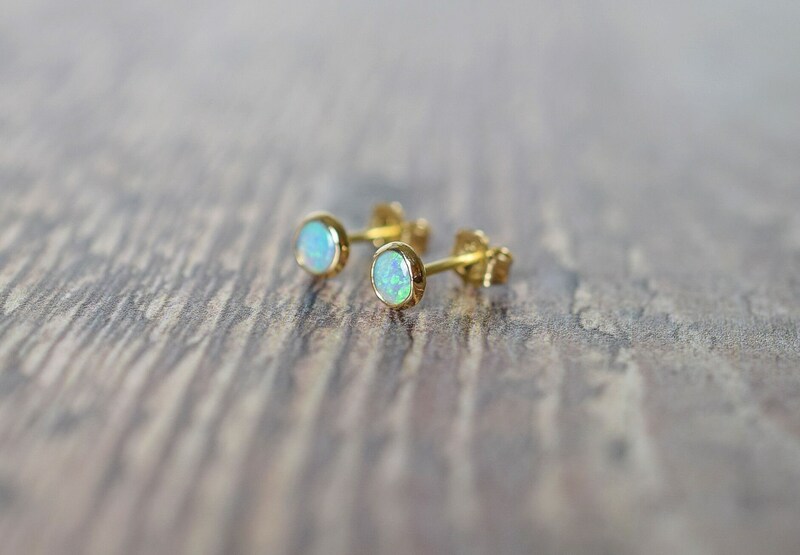 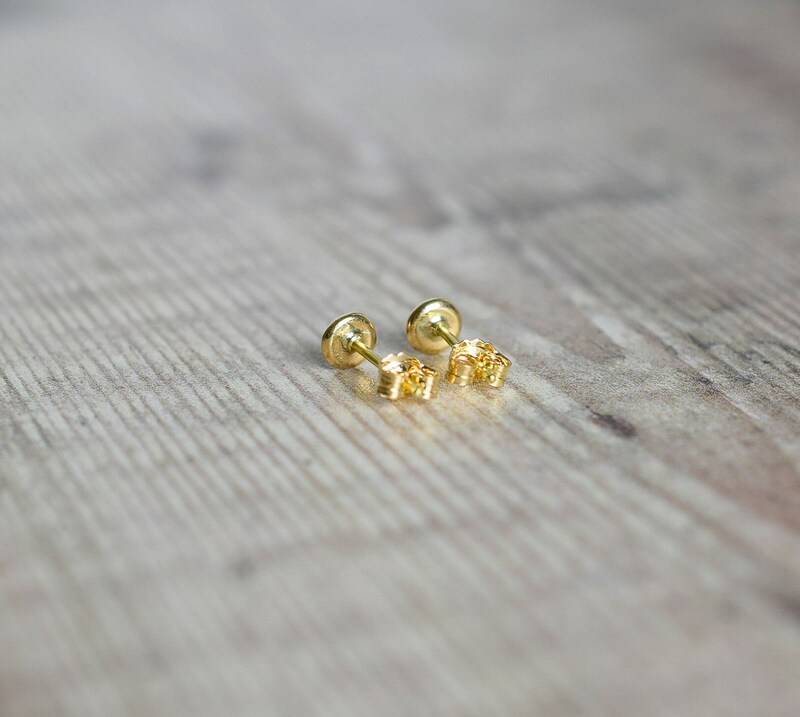 I have set the Opals in handmade 18k yellow gold settings. 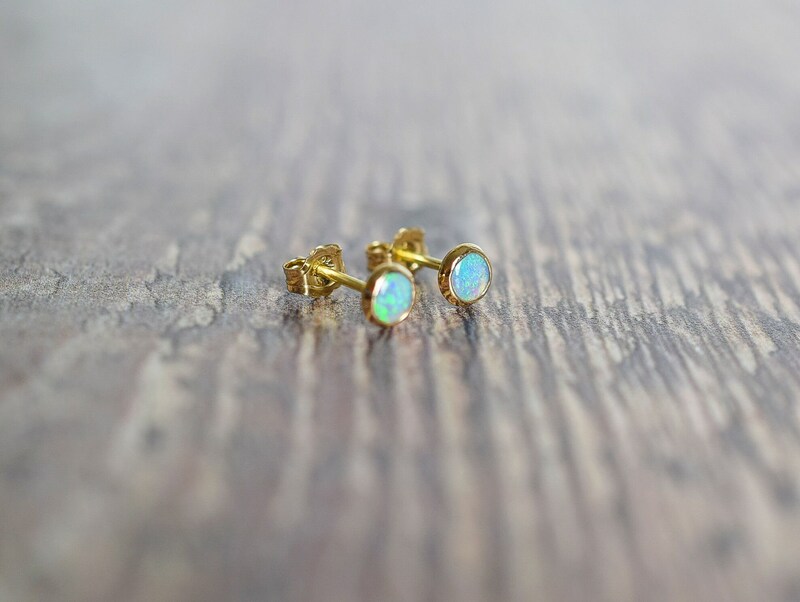 The earring posts and butterfly scrolls are also 18k gold. 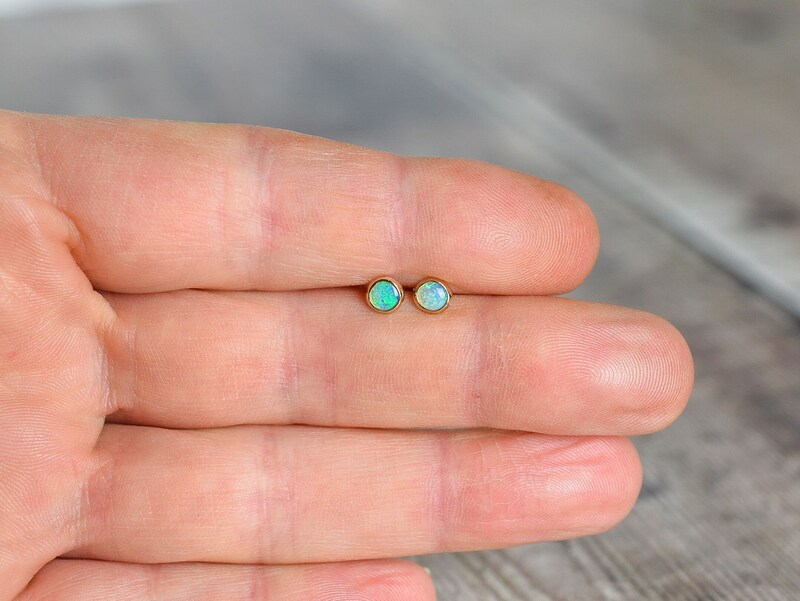 The gems are set with traditional stone setting techniques and have not been glued into their settings. 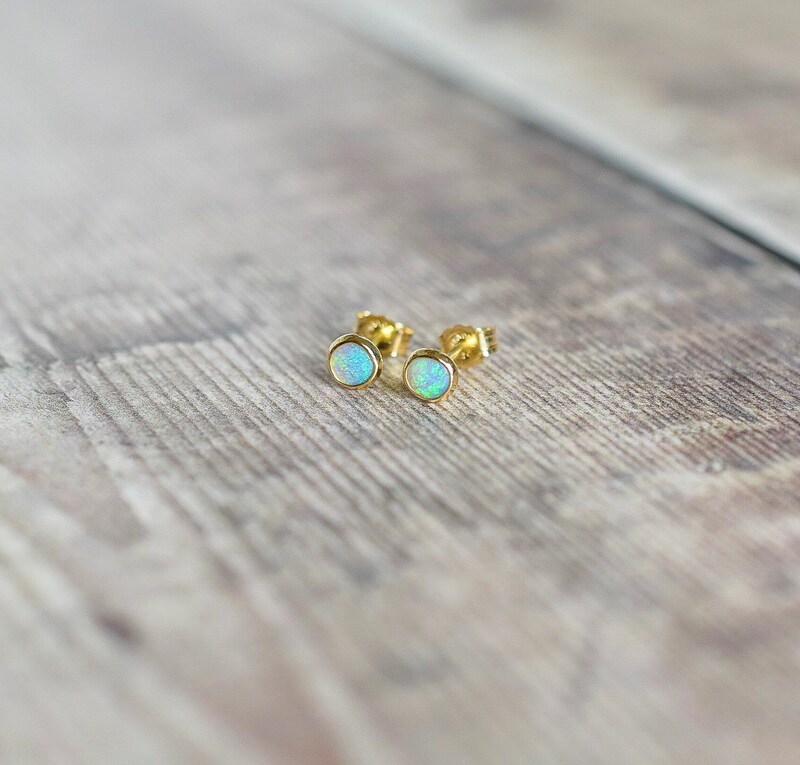 * The Opals measure 4mm approx. 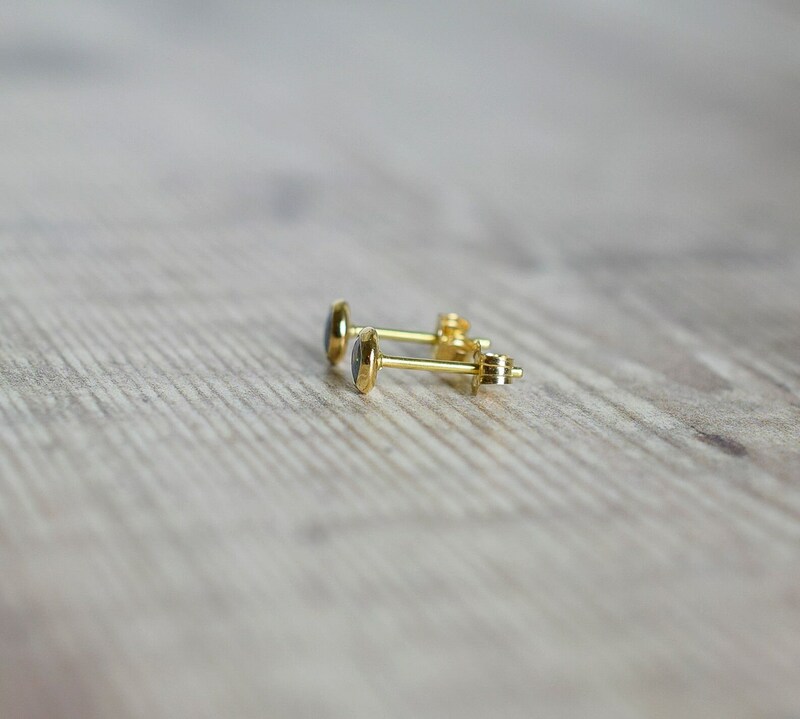 * Your earrings will arrive in a beautiful Saturnalia Jewellery gift box. 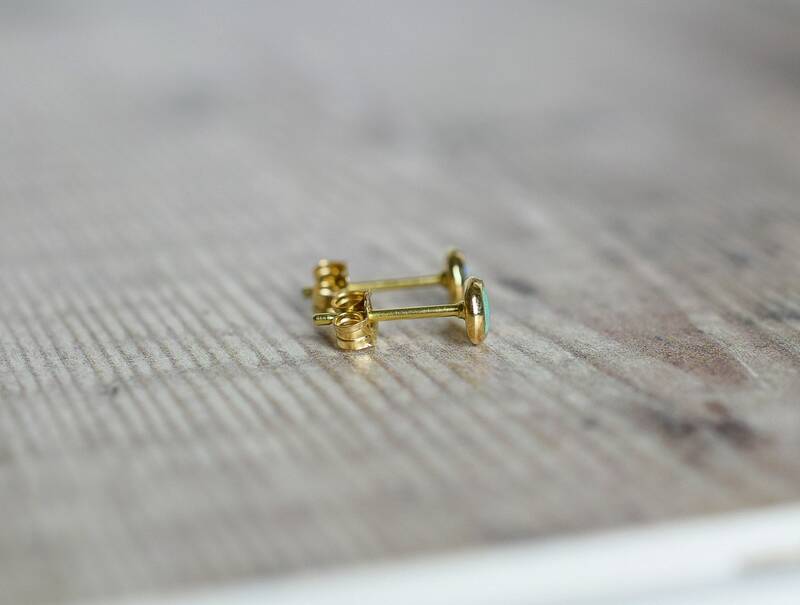 Free worldwide Insured & Tracked (were available) shipping.